Muslim Pro now offers Premium subscription plans (monthly/yearly) on top of the Lifetime Premium for users to purchase. Monthly and Yearly subscription includes a 7 days Free trial period that will begin once you have confirmed your purchase with your device's app store. *Please note that you will not be charged yet during the 7 days Free trial period. How to subscribe to a new Premium subscription plan? 1. Once you have selected your preferred Premium subscription plan, click on "Try Free for 7 days." If you have selected Lifetime Premium, click on "Upgrade now." 2. Create a new Muslim Pro account or link an existing Muslim Pro account to this new Premium subscription purchase. You can create a Muslim Pro account by either linking your social accounts (Facebook or Google), mobile number or create a password for an existing email address. Do take note that a Muslim Pro account is needed to tie in your Premium purchase. 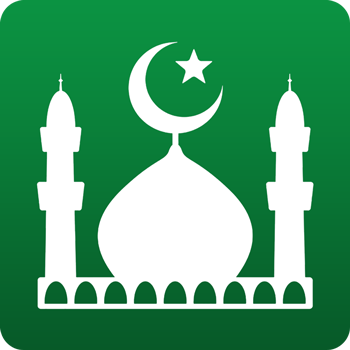 With the new version of Muslim Pro, users will have to log in on their Muslim Pro account to use your Premium purchase across multiple devices (Android or/and Apple). 3. Once you have successfully sign up or log in, you can now enjoy the 7 days Free Trial for the Subscription plans or the Lifetime Premium upgrade of Muslim Pro. At the end of the 7 days Free trial period, you will automatically be charged by your device's app store based on the monthly or yearly subscription plan that you have selected before starting your 7 days free trial. Payments are handled by the various platforms where Muslim Pro is distributed. This is actually a guaranty for you that independent developers like us do not have access to your payment details as payments are processed by Apple, Google or Samsung depending on your device. Users can also link other alternative log-in methods to your Muslim Pro Premium account. You can read more on how to view your Muslim Pro account and link other log-in methods here.